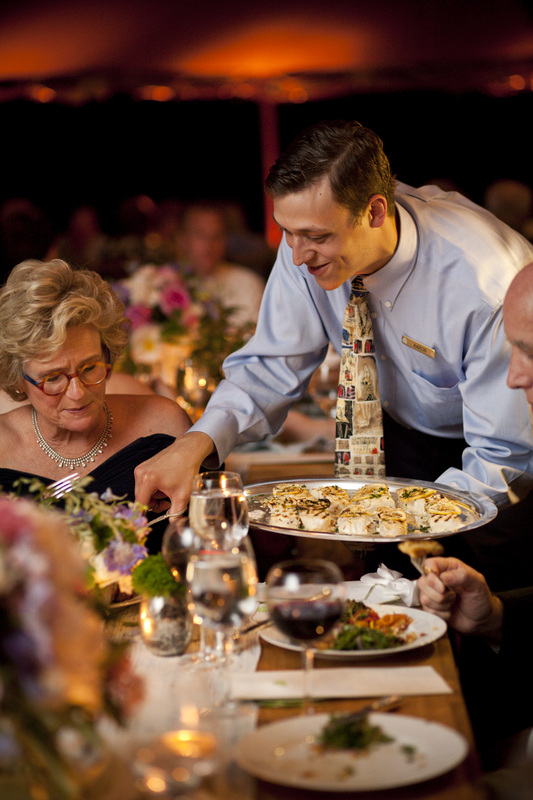 Considering serving your wedding reception Family Style? It’s one of my favorite options because it affords hosts the luxury of treating their guests to an abundance of options. It’s intimate and elegant at the same time. 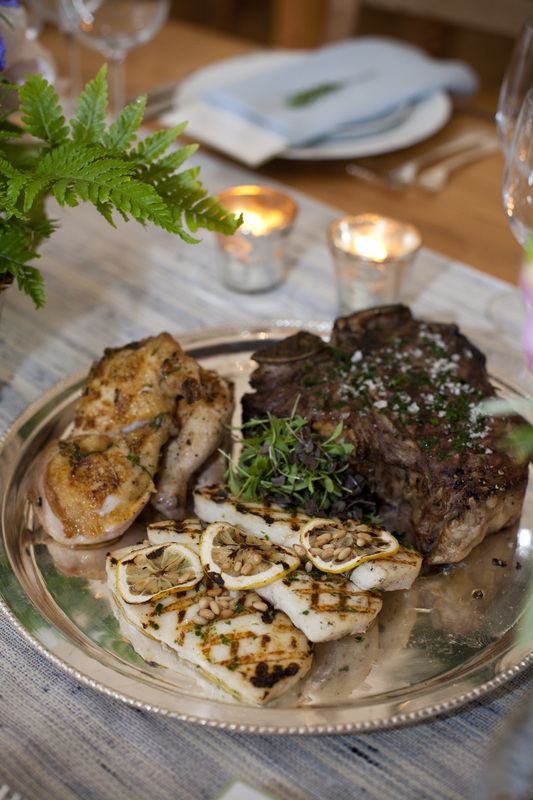 Below, examples by the in-house caterer at Mayflower Grace Inn and Spa, Washington CT. Photo by Phil Mantas. Trillion plates from Party Rental ltd.
Below, waiters serve proteins (meat, fish and poultry) so that each guest has an option to take one or more of the mains, hot out of the oven. 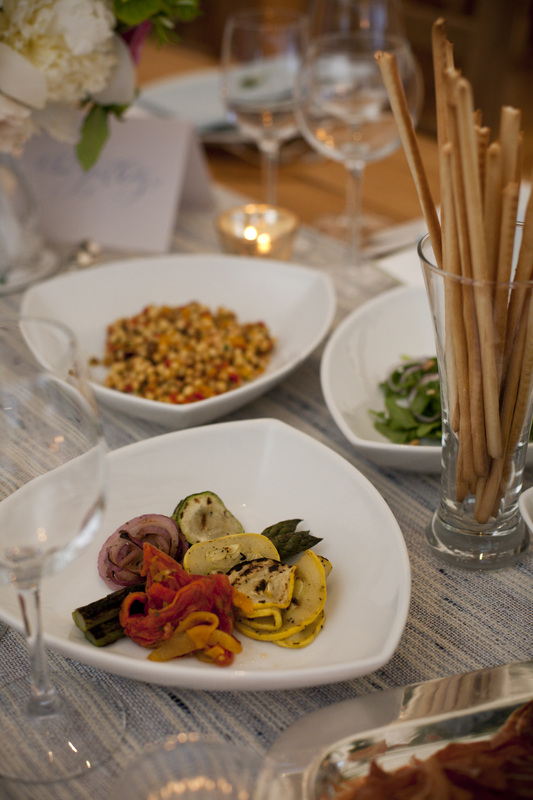 Be sure to speak with your florist and caterer to make room for serving trays on each table. I often serve just the side dishes family style, and have the caterer plate the main to each guest. 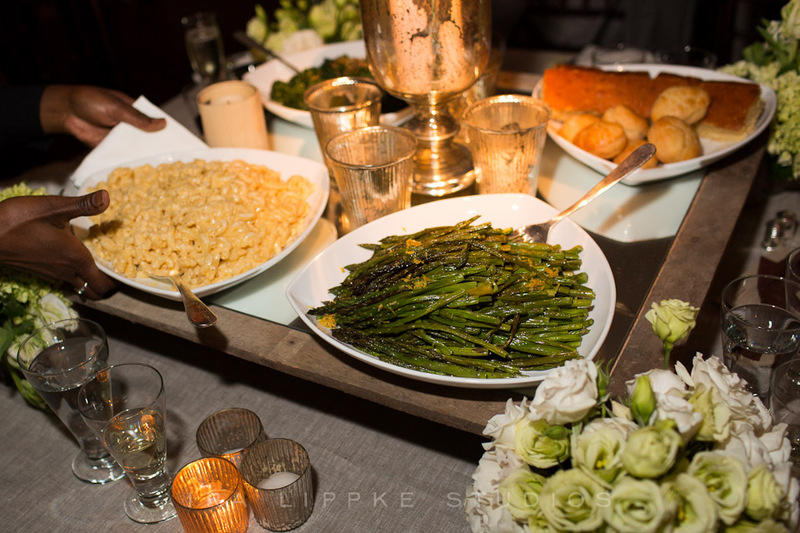 Below, at a wedding I planned in Bridgehampton, custom designed reclaimed wood and mirrored risers turn family style comfort food (by Creative Edge Parties) into the focal point of the evening. Short ribs and fried chicken were plated and served to each guest, combining styles of service for an elegant, interactive meal. Photo by Nathan Smith of Ira Lippke Studios. Hamptons Wedding by In any Event. Family Style comfort food by Creative Edge Parties.